Consistently listed as one of America's 100 best small towns, Winfield is known for its beautiful Victorian and Caton homes. One of those homes, Hiatt's was the northern most office of the world-famous 101 Ranch of Marland, Oklahoma. Island Park and Kickapoo Corral are reminders of this city's Native American heritage. Buffalo Bill is reported to have been among the town's earliest businessmen. A normal day trip to Winfield can be relaxing and enjoyable even when there are no special events. Island Park, the site of the original Chautauquas in Winfield, today is a beautiful place to drive around or stroll through along with the ducks and geese. The park is at the North end of Main Street surrounded by the Timber Creek Lagoon. From late November through December the park is alight with a wonderful seasonal display. Cowley County Historical Museum is housed in a lovely old school building just a few blocks west of downtown. The downtown shopping area is alive and flourishing - definitely a place to try out. Quail Ridge, the City's municipal golf course, continues to be rated one of the top public courses in the state and a valuable asset for the community. Winfield entices tourists with its beautiful tree-lined Main Street, Kansas Vietnam Memorial Wall, Iron Gate Inn, the Isle of Lights, Southwestern College, and the annual Walnut Valley Bluegrass Festival. Constructed as a replica of the Washington D.C. Viet Nam War Memorial, this memorial is found in Memorial Park just east of the Courthouse. The Memorial is engraved with the names of 777 servicemen and nurses from the State of Kansas who were killed or missing in action during the Viet Nam War. 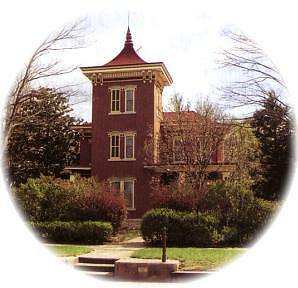 The Cowley County Historical Society Museum is housed in one of Winfield's original schools built in 1886. The native stone building and its historical displays keep local history alive and available to the people.